“The international airlines did not participate in the December meeting because they said they will come to a meeting only when all the infrastructure is in place and commissioned. They were not ready to go by the undertaking given before the court, and they have been proven right earlier. They will come but normally international airlines start planning a new route a year or 18 months in advance. When we start in April, it is likely they will start next year,” Sarin told Chandigarh Newsline, adding the CAT III ILS will not be an impediment for them as it is only required for 10 or 12 days in a year between December and February. With infrastructure almost in place, Sarin added, the decision to increase the flights on international routes is now up to the airlines. “The major work has been done but now it depends on all the parties concerned to put their heads together. Chandigarh and Delhi are so close; so much traffic moves from here to there; the traffic on the national highway would decline considerably when we start direct flights from here. It may not happen immediately but the international airlines can start slowly. We can host any type of aircraft now, the government also needs to come into play and give the airlines some incentive to come here,” he added. The journey has not been easy. Indigo and Air India were the first Indian airlines to fly international from the airport. While the Indigo’s plan to fly to Dubai remained pending for months in 2016 for want of customs approval for transportation of bonded liquor from Delhi to Chandigarh, Air India made history on September 15 in 2016 when it flew to Sharjah directly from the airport. 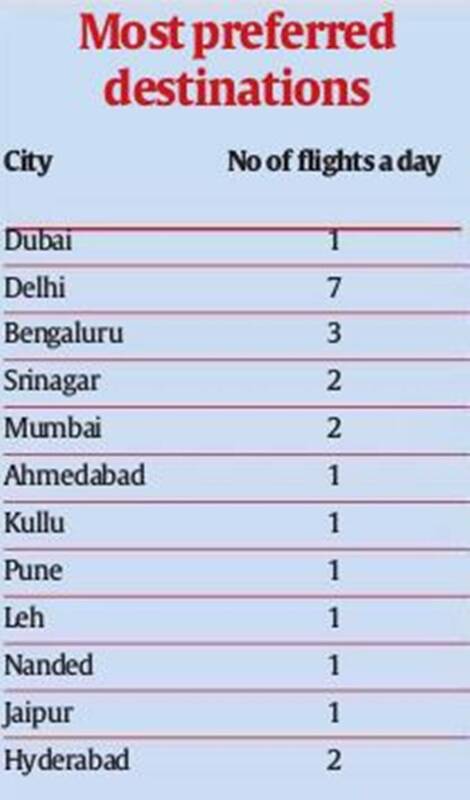 Indigo soon started its direct flight to Dubai on September 26.Even before them, international airlines like BH Air and FlyDubai had shown interest in flying directly from Chandigarh but they are yet to start their operations here. Punjab State is on record to have told the court in 2016 that the Centre is “making the international airport at Chandigarh in-operational at the behest of other interested parties”. Another lawyer said the same seems to be true as “many undertakings given previously by the authorities have turned out to be wrong. Like they said that we will make a CAT III compliant parallel taxi track (PTT) but then they backed out saying no, we will have the CAT III on existing runway. The PTT then became a Southern Taxi Track and they said it will not be linked at both ends. Such changes in policy, decisions…that is what led to the unnecessary delay”. “On the one hand, a huge modern building has been constructed and there are plans for expansion of the building. On the other hand, the basic facility for the airport i.e. full fledged runway is not being provided,” wrote the division bench headed by Justice Saron, adding this is “not only unfortunate but also disheartening for the region”. In the hearing before the division bench of Chief Justice Krishna Murari and Justice Arun Palli on March 19, the Court was informed that the decision to install CAT III-B ILS, which will allow landing even with a visibility of 50 metre, is now pending with the Board of Airport Authority of India after TATA SED, which was engaged to install the CAT II ILS lights on ‘29’ side of the runway, agreed to work on the price suggested earlier by the government. 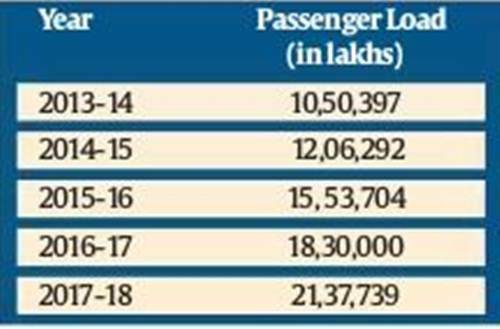 Again, it was a nudge from the High Court which made the company scale down its demand of Rs 61.7 crore for the work to the price estimated by the Airport Authority of India. “The runway edge lights are currently available for the airport to remain functional 24×7. The CAT II ILS system will be available by April 10 but the testing procedure will take at least two months. There is sufficient lighting available at present so there is no requirement of the CAT II as of now. If the AAI moves as per plan, the CAT IIIB ILS will also be available by the year end but then it would again take few months for testing and operationalisation. But, yes, we are ready for any aircraft, including 4E, to land. The project of re-carpeting and now lighting was completed within a year and it is a major achievement,” said a senior IAF officer, who has been associated with the case. Following certain strictures by the chief justice in the case recently, Punjab and Haryana—both have 24.5 percent stake in the airport—have also shown their willingness to pay for any projects at the airport. It won’t be wrong to conclude that with the High Court keeping an eagle eye on the airport, it won’t be long before it soars to new destinations across the world.